James Russell Mercer (born December 26, 1970) is an American singer-songwriter, guitarist, and musician. 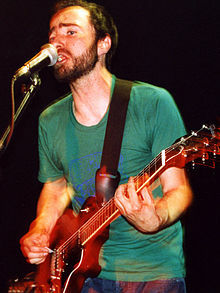 He is the founder, vocalist, lead singer-songwriter, and sole remaining original member of the indie rock group The Shins. In 2009, Mercer and producer Danger Mouse formed the side project Broken Bells, for which they released a self-titled album in March 2010, followed by After the Disco in 2014. Mercer has also acted, appearing in Matt McCormick's feature film Some Days Are Better Than Others, which premiered in 2010. Born in Honolulu, Hawaii, Mercer attended high school in both England and Germany; he lived in England from 1985 to 1990, as his family moved there because his father was in the United States Air Force. James was raised Roman Catholic but is now an atheist. In the early 1990s, Mercer belonged to a group called Blues Roof Dinner. In 1992, Mercer founded the band Flake Music (originally called Flake) with drummer Jesse Sandoval, keyboardist Marty Crandall, and bassist Neal Langford. Together, they produced the well-received album When You Land Here, It's Time to Return, and toured with Modest Mouse and Califone. Shortly after the release of When You Land Here, in 1999, Mercer formed The Shins in Albuquerque, New Mexico as a side project. Mercer named the band The Shins after the family in the musical The Music Man, a favorite of Mercer's father. The project began as a way to explore three-minute pop songs with conventional chord structure. Mercer recruited Jesse Sandoval to play drums and the two began performing as a duo. The Shins played with Cibo Matto and the American Analog Set, with Mercer serving as the primary songwriter for the band. As The Shins rose to popularity, Flake Music eventually disbanded in 1999, leaving Mercer, Sandoval, and Langford, who joined after Flake Music's disbanding, to focus completely on The Shins. In 2002, the band relocated to Portland, Oregon. In 2007, Mercer sang backup vocals on the tracks "Florida," "Missed the Boat," and "We've Got Everything" on Modest Mouse's album We Were Dead Before the Ship Even Sank. 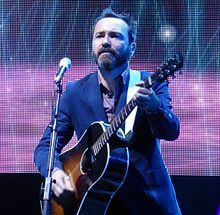 Mercer has also been credited with playing several instruments on The Shins' albums, including guitar, bass, synthesizer, ukulele, banjo, harmonium, percussion, beat and MIDI programming. Mercer began collaborating with Danger Mouse in 2005 when he performed on the song "Insane Lullaby" featured on the Danger Mouse/Sparklehorse album, Dark Night of the Soul, which, however, was not officially released until July 2010. After working together on the album, in September 2009, Mercer and Danger Mouse announced a new project called Broken Bells, and, on March 9, 2010, released their debut self-titled album, Broken Bells. They have also released a second album together on February 4, 2014 called After the Disco. In 2010, Mercer acted in Matt McCormick's feature film Some Days Are Better Than Others, playing the role of Eli, a directionless slacker. The film premiered at the 2010 SXSW Film and Music Festival. Also, in 2010, Mercer and Modest Mouse frontman Isaac Brock contributed original music to director Chris Malloy's 180° South, a documentary about adventurers in Patagonia. Of the two songs that Mercer contributed, one was a cover of Neil Young's "Journey Through the Past." Musical influences he has mentioned include The Smiths, The Cure, Echo & the Bunnymen, The Beach Boys, The Beatles, The Zombies and The Jesus and Mary Chain. Mercer is known to play a worn yellow Gibson Les Paul Double cut faded. With Broken Bells, Mercer has mostly been seen using a Vox Wildcat. Mercer married designer and home decorator Marisa Kula in April 2006 in a small ceremony on Waimanalo Beach in Hawaii, where Kula was born and raised. They had met when Kula, then a journalist, was assigned to interview Mercer for a story. They have three daughters together. ^ a b "2007'S Original Soundtrack". The Guardian. London. January 4, 2007. ^ "James Mercer". Freedom From Religion Foundation. Retrieved 2017-03-06. On this date in 1970, musician James Mercer was born in Honolulu, Hawaii. ... an atheist since he was ten, breaking away from his family's Roman Catholic faith. ^ a b c d e Heather Phares. "The Shins Biography". Retrieved May 22, 2010. ^ "Notable Albuquerque Connections". Retrieved 2010-05-22. ^ "The Shins at PureVolume.com". Retrieved 2010-05-22. ^ Matt LeMay (January 2, 2007). "The Shins Interview with Matt LeMay". Retrieved May 22, 2010. ^ Ryan Dombal (2009-09-29). "The Shins' James Mercer and Danger Mouse Team Up for New Band". Pitchfork. Retrieved 2010-05-22. ^ Scott Macaulay (2010-03-13). "Matt McCormick's "Some Days Are Better Than Others"". Filmmaker Magazine. Retrieved 2010-05-26. ^ a b Tom Breihan (2010-04-21). "Isaac Brock, James Mercer contribute music to documentary soundtrack". Pitchfork. Retrieved 2010-05-22. ^ a b "Progress Report: The Shins". Stereogum. May 6, 2009. Retrieved May 26, 2010. ^ a b Derek Paiva (2007-06-20). "The Ultimate Shins". Retrieved 2010-05-26.